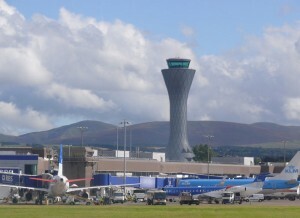 BAA has agreed to sell Edinburgh airport to Global Infrastructure Partners (GIP) for GBP£807 million (USD$1.3 billion), adding the Scottish hub to an investment portfolio that includes London’s Gatwick and City airports. GIP, an investment fund founded by Credit Suisse and General Electric, beat a consortium led by JP Morgan Asset Management’s infrastructure fund. BAA last year chose to sell Edinburgh airport after Britain’s Competition Commission ordered it to dispose of one of its Scottish airports. The regulator also required BAA to sell Gatwick, which it did in 2009, as part of a drive to loosen the firm’s grip on the sector. BAA has also been ordered to sell London Stansted, leaving it with the capital’s main Heathrow hub, as well as Southampton in the south of England and Glasgow and Aberdeen airports in Scotland. JP Morgan Asset Management led a consortium including Incheon, South Korea’s airport authority and US teachers’ pension fund TIAA-Cref. However, TIAA-Cref pulled out earlier this month.